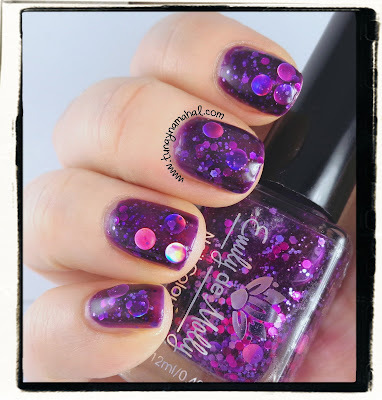 Emily De Molly: Comic Forces, was the last polish I purchased before my 'No Buy' went into effect 3 weeks ago. I was browsing Llarowe one night and was so excited to see it in stock! I've been wanting Cosmic Forces for a good while now. 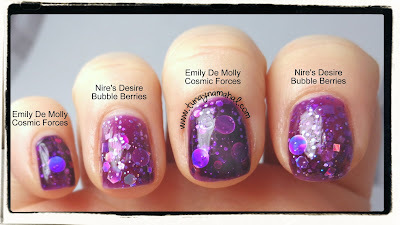 It's super hard to find in stock in the USA, since Emily De Molly polish is made in Australia. You can find it selling for $30 on eBay... but I'm not crazy enough to pay that. It was $13 on Llarowe.com. Cosmic Forces is a dark purple jelly polish with pink and purple glitter and holographic circle glitter. The circles almost look like planets suspended in the jelly base. It's even prettier in person! 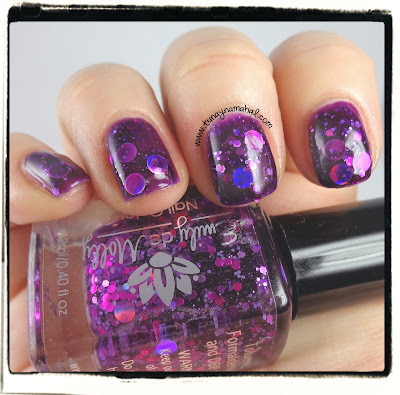 This is 3 coats and 2 coats of Seche Vite topcoat to get that glossy look. 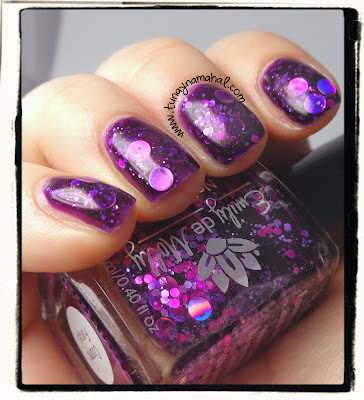 A few months ago I purchased a similar polish from Nire's Desire called Bubble Berries. 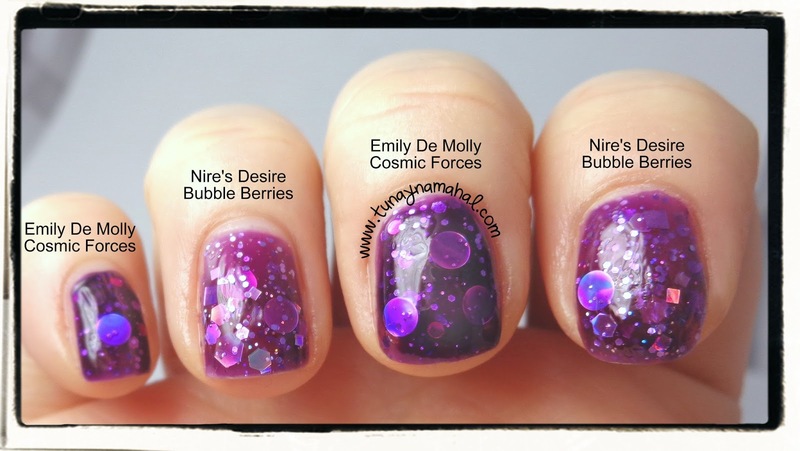 I wanted to do a comparsion with Bubble Berries & Cosmic Forces. Cosmic Forces is a darker purple and Bubble Berries is lighter. Bubble Berries has more silver glitter & other shapes, than Cosmic Forces. If you're having a hard time trying to get Cosmic Forces, Bubble Berries is a good alternative.